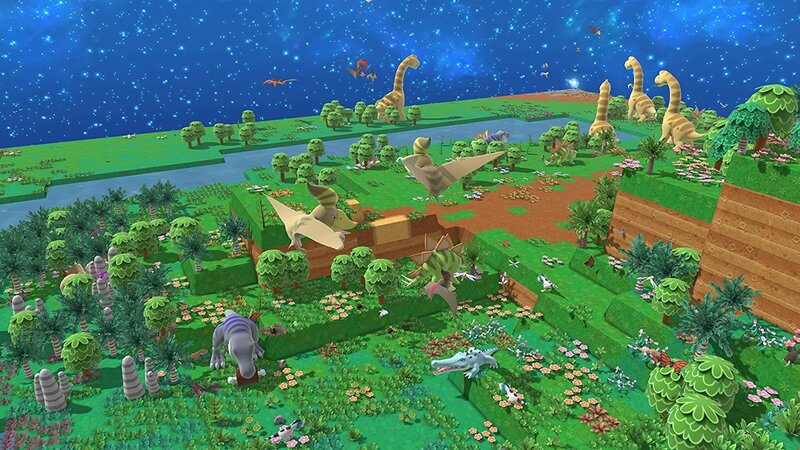 Birthdays the Beginning presents an engaging simulation/sandbox fantasy game where players celebrate each creation they produce from a single-cell organism. This one-player, PlayStation 4 game (also available on PC) from legendary creator Mr. Yasuhiro Wada (TOYBOX Inc., creator of Harvest Moon) begins with cube-shaped worlds as players eventually create well-varied lifeforms beginning from single cells. Producers kick-off the game’s narrative as players read “Grandpa’s Book” then embark on a mysterious journey. Next, players complete the initial in-game tutorial (highly recommended) with their guide Navi who provides instructions and helps the Avatar who looks like a cross among a fairy, Ultraman and a Power Ranger. Players can expect some basic scientific rules to apply throughout this fun game, but developers allow for some unique situations. It’s also helpful, but not necessary, to have some scientific knowledge especially in species/organism names. All game versions include a 20-page World Guide Booklet that helps players manage time, make colorful creations, and build environments plus your HP (health point) resources/energy required for most actions. Those objectives provide compelling challenges as developers minimize any pressure or tension. Decision making pays off with well-informed choices instead of antagonists that destroys creations (natural disasters, etc.). Players need the right conditions and must balance several elements, but mainly temperature, conditions (terrain height, etc.) and location. 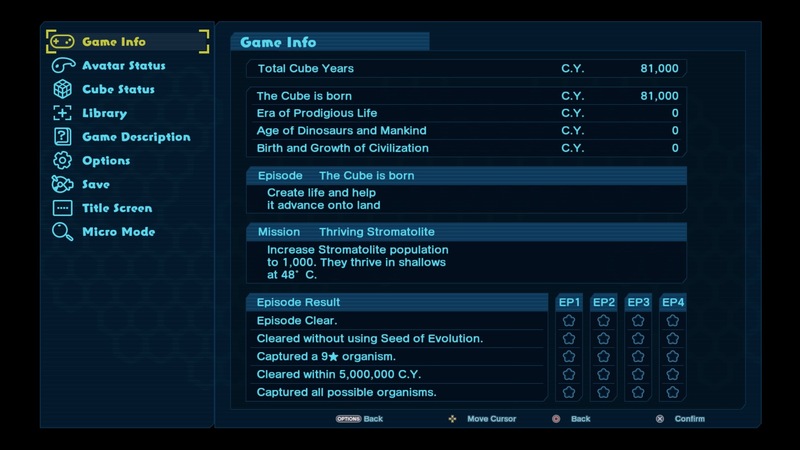 Birthdays the Beginning has a great look and simple interfaces. Gameplay reaches the full pinnacle when players complete the learning curve, which is medium to high. Players have great leverage in the worlds they imagine, create and refine. There, of course, are options to save (use the Options button). Certain items can trigger events like mutation, fertility and advancement. Special items expedite the development process and make large formations easy. Players must use caution with special items placement because they can alter other structures (e.g. cuts the corners of existing structures if placed too close) and there is no way to make repair or smooth out any rough edges, so don’t obsess about the aesthetics too much. Creations include dinosaurs, mammals, plants and other creatures. Players can boost their creation library, but the interaction and ultimate self-sustaining status satisfies most. 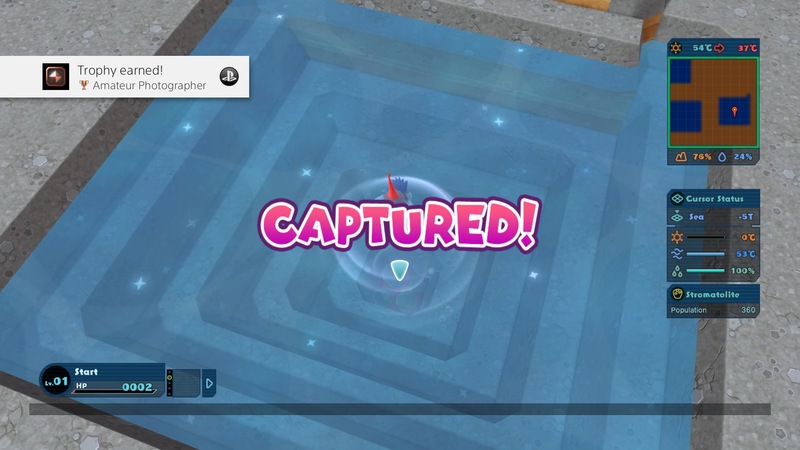 Free mode is the best way to learn while extra missions provide more entertaining gameplay plus 10 separate challenge missions, which can help players develop dinosaur types. The geographical features include forests, islands, mountains, sea as the basic cube shapes form into other structures like pyramids. The triangle button toggles between the two modes (micro and macro…a.k.a. small and big) and also lets players use special items. Time is frozen and only passes when you watch the world unfold from a distance in macro mode. The bottom expandable bar is the item bar and opens with the x button. Players can then use the items by pressing the square button. Even on a large screen the font is too small on the item bar. Each item’s name (e.g. “Broth of Life”) usually explains it’s power/use. Players can adjust the levels by lowering (R2) and raising (R1) with a 12-level limit. Music also prompts players so their actions are confirmed, which is a nice touch. Just remember that raising the land decreases the temperature (just like on the top of a mountain). Help is always there if needed by pressing the R3 button (right analog stick). Use the L1 button to unfreeze time / hold to expand controls (zoom in/out, etc.) then advance your work using L2, which fast forwards life using HP. The L3 button becomes an additional zoom option (after producing basic life forms). A time rewind option would have been a welcome edition, especially when dealing with extinctions. Once you have some creations they either adapt or go extinct though players can also press the touchpad to capture them. These control buttons are not reconfigurable. Basic options include the vertical and horizontal camera, music volume and effects volume plus restoring the default settings. Once you know the moves then who’s the enemy? Well, …it’s you. This format adds even more emotion into gameplay. Toggle into the macro mode to speed up time then hope that a species will live to tread another day. One of the most profound feelings was trying learning an extinct species was needed to advance. Resurrecting that species is a great and rewarding challenge. The impressive, colorful graphics enhance the experience of breathing life in these worlds. The musical score incorporates sentimental piano movements with strings in background as well as powerful guitar music. Players also get rewarding horn movements during successful creations. Subtitle and language options help players along with audio cues (e.g. different sounds when lowering and raising terrain). 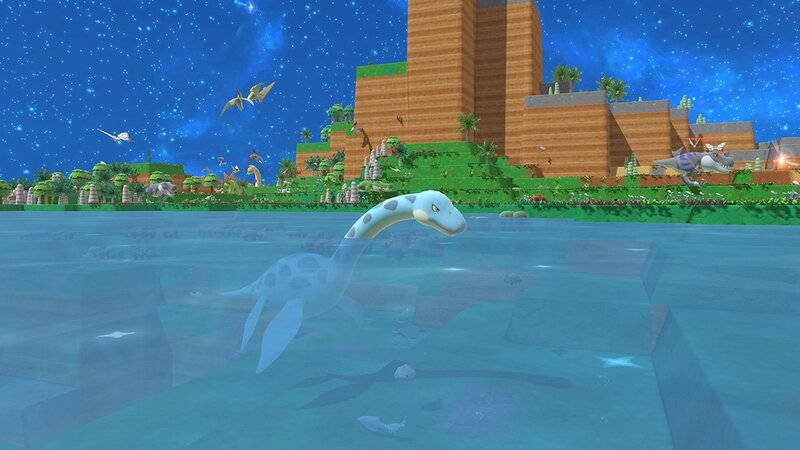 Birthdays the Beginning has great discoveries, colorful visual design, and high content (292 unlockable species). Developers need to increase the text size so controls, status details and other information can be more easily read. No multiplayer options so any possible online additions or DLC would be great, but I am sure fans and avid players will create community coves for content. Hopefully, we’ll see more future expansions, enhancements (e.g. first person view option in a fully developed creature, preferably one that flies and/or swims) and even installments. Players concentrate on their created lifeforms and worlds instead of endless achievements and overloading updates. The convenient save option allows for short play sessions and the entertainment and educational values make this recommended game a worthwhile experience. 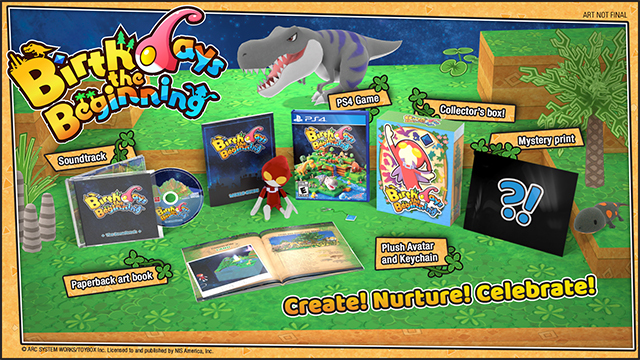 Developed by ARC SYSTEM WORKS/TOYBOX Inc. and published by NIS America, Inc., Birthdays the Beginning has as an affordable price at $39.99. The simple gameplay elements allow players to make complex creations. As in the Minecraft and Will Wright’s Spore game series, imagination, patience and passion for detail help players succeed and maximize their fun, yet challenging experience here. An original, appealing game for all ages (*** out of four stars) and is rated E for everyone. Also available on PC. A limited PS4 edition is available with a 16-track soundtrack, Navi charm/key chain, collector’s box, 7.25-inch plush, and mystery item (a special print). 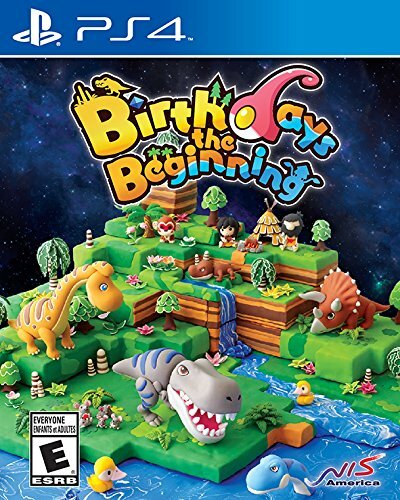 This entry was posted in Video Game Reviews and tagged Birthdays the Beginning, Michael Siebenaler, Mike Siebenaler, NIS America, PC, PlayStation 4, PS4, Tall Writer, video games, Yasuhiro Wada. Bookmark the permalink.